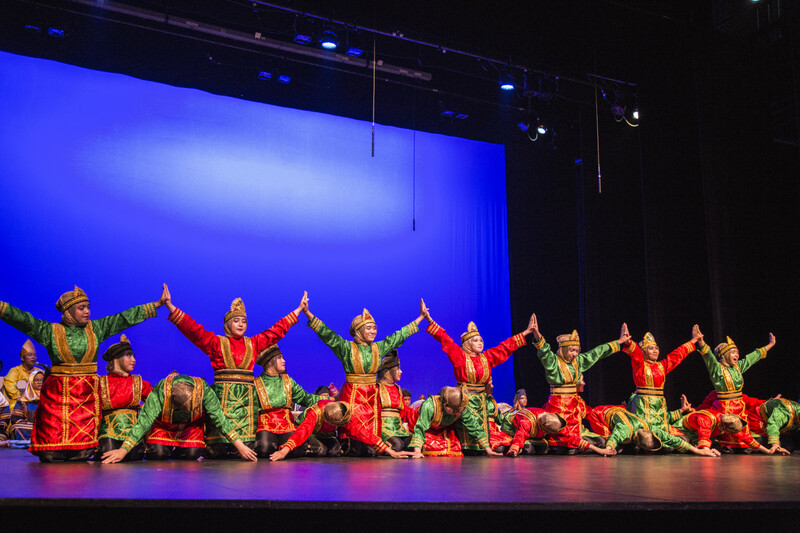 Those who attended Ardaya Zahran: A Radiant Heart on Sept. 7 at the Sagebrush Theatre were treated to a lively tale of love with the sounds and heart of Indonesia. 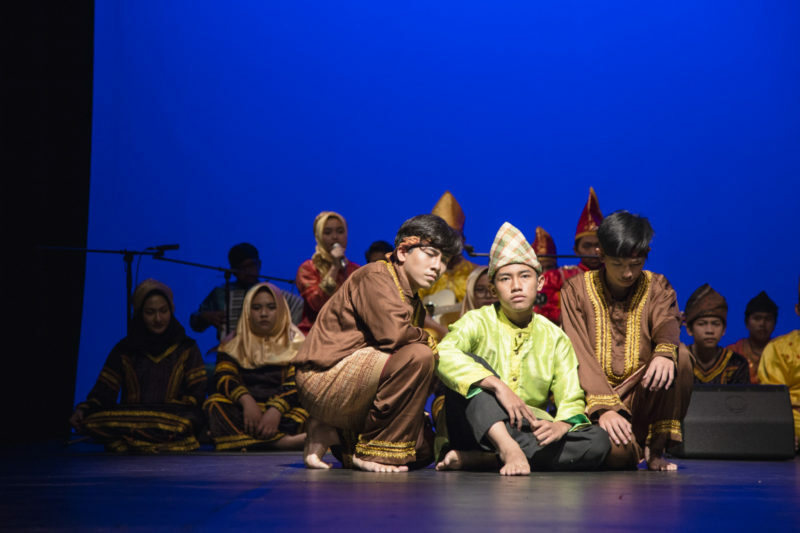 For their fourth year in Kamloops, 160 high school students ranging in ages from 12 to 17 years old from the International Islamic Education Council (IIEC) in Jakarta, Indonesia travelled to Canada to participate in a language and culture program. This program aims to build students’ English language skills as well as let them soak up new cultures around them. The students planned this production as a special thank you for sharing our culture with them: a cultural exchange of sorts. 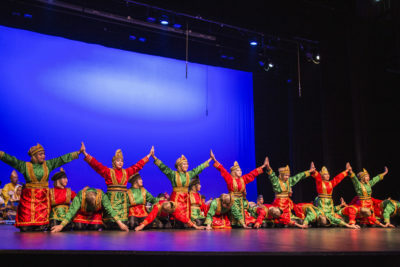 As part of their thanks to their Canadian host community, the students performed an opera-like production featuring two young lovers, Faisal and Annisa. Along with a story, attendees were wowed by the captivating traditional dances such as the Ratoeh Jaroe Dance, a harmonious blend of body movements and hands requiring excellent concentration and memory, and the Gaba-gaba Dance, originating from Maluku in Eastern Indonesia. The story followed Faisal, the only son of Tuanku Umar and Annisa, the niece of nobleman Tuan Razak. After a rocky first encounter Faisal falls in love with Annisa and makes a long and tiring journey to seek out Annisa. After many roadblocks, including pirates and dangerous days at sea, Faisal finally reaches Annisa who appears to be engaged to marry Prince Salman. The two men fight but ultimately give up and turn to Annisa to decide. Her decision to refuse Prince Salman leaves him disappointed and he leaves her, giving Faisal the chance to express his love and explain that after she left he had turned into a man because of her. The students have experienced many firsts of Canadian culture, from their first camping trip to visiting museums to gold panning, making their trip to Canada “all about the Canadian experience, not just the classroom,” according to Myrissa Krenzler, program coordinator at the International Training Centre at TRU World. IIEC President S. Indah Permata expressed during a video address before the show that her goal for those involved was to “develop global students” with knowledge and experiences that can carry them through life with success. IIEC students performed a beautiful and captivating production that held your attention from the moment the curtain lifted off the ground to the instant it touched back down; sharing their culture with us in a beautiful and engaging manner.